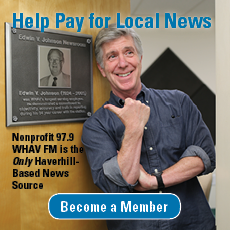 With the Federal Communications Commission’s tentative selection of WHAV to receive a new FM license, the Haverhill Heritage Series reviews the difficult path FM has had to circumnavigate in Haverhill. The first incarnation of WHAV-FM was dead, along with its most zealous advocate, John T. “Jack” Russ. 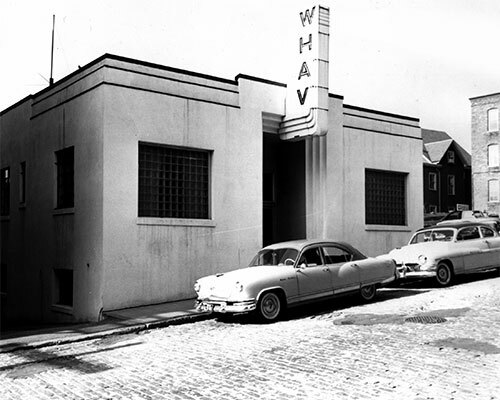 WHAV-FM lasted just under four years—1948 to 1952, but the fight for FM would also bring other casualties. Major Edwin Howard Armstrong, the inventor of FM, became despondent over his legal battles to force RCA to pay FM royalties. “On the night of January 31, 1954, Armstrong put on his overcoat, scarf, gloves, and hat, opened his window, and jumped out, falling ten stories to his death,” wrote Yannis Tsividis in Columbia University’s “Columbia Magazine.” Along with Armstrong went the Continental (FM) Network—of which WHAV was an affiliate. 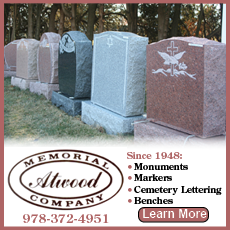 Armstrong had quietly covered the network's losses. Meanwhile, five years passed. Edward I. Cetlin was in charge of day-to-day activities at WHAV. The new owners had found success with the AM station and looked to the future. Consolidation of the radio station’s properties was underway. Cetlin and brothers Henry and Morris Silver bought the AM station from the Haverhill Gazette Co. in 1954 for $38,000--$25,000 of which was for the Silver Hill transmitting site. 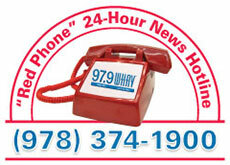 The new company was incorporated as WHAV Broadcasting Co. Inc. The How Street studio building was not originally included in the sale, but rather was leased. A deed, recorded Nov. 17, 1958, now showed Cetlin’s How Realty Corporation as the owner. The missing element was the abandoned WHAV-FM frequency of 92.5 MHz. FM was, by no means, yet a strong medium, but it was beginning to show promise. On March 18, 1958, WHAV Broadcasting Co. formally asked the Federal Communications Commission (FCC) to give it the old license. Just as it had been under the Haverhill Gazette’s ownership, an effective radiated power of 20,000 watts was again proposed. In fact, all of the Gazette’s earlier engineering was largely copied. Estimated construction cost was $13,795—the bulk of which was to be used for a new FM transmitter since the original Gazette transmitter had been sold to WCRB, Boston. First year operating expenses were estimated at $2,000 with advertising revenue of $5,000, according to FCC records. By this time top management included General Manager Robert I. Kimel; Chief Engineers David Cates and, later, Harry Bryce White; and Program Director Bob Clinkscale, later well-known WCVB, channel 5, anchor. Clinkscale replaced James Simmons who moved to the Haverhill Gazette following the death of legendary city hall reporter Zacks Bloomfield. Clinkscale, then using an on-air name of “Bob Douglas,” took a hands-on approach during the FM licensing process. “This is WHAV-FM in Haverhill, Massachusetts. We are program testing our new transmitter on 92.5 megacycles with an effective radiated power of 20,000 watts. We would appreciate a card from you, telling where you live, the strength of the signal you hear, the quality of the broadcast and the time of the day you heard us,” Clinkscale recorded on a transcription disc for playback from the Silver Hill transmitter site. The official inaugural FM broadcast took place in June, 1959. The specific brand of FM transmitter has been lost to history. Back at the How Street studios, minor equipment upgrades were taking place to accommodate the new FM, get ready for an AM power increase and allow playback of 45 RPM records. The original Rek-O-Kut turntables played only 33 and 78 RPM records, but not the newer seven-inch “45s” that would become the mainstay of rock and roll radio. The new turntables were Gates CB-500—capable of playing all speeds and still accommodating the larger 16-inch “electrical transcription” discs. A Gates brand “Studioette,” third version, console replaced one of the earlier Western Electric Type 23-C mixer consoles. Although FM stereo was approved by the FCC during April, 1961, WHAV-FM would not adopt it for another 10 years. 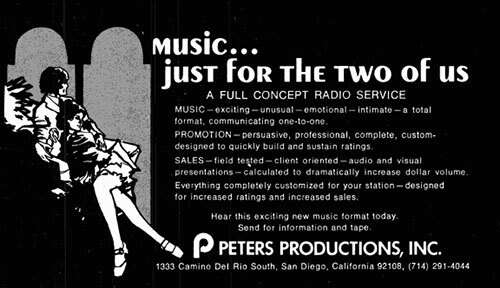 Before Jan. 1, 1967, FM stations could largely simulcast their AM counterparts. The requirement to provide original programming saw WHAV-FM adopt the “beautiful music” format—popular on the band across the country. The FCC approved on Aug. 13, 1970 WHAV-FM’s plans to move its 1958 transmitter to auxiliary status. 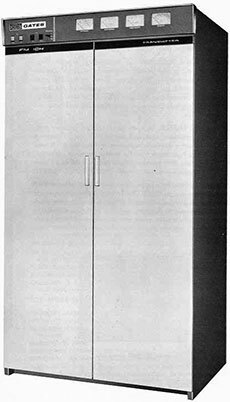 In its place, records show WHAV took out a mortgage to purchase a Gates FM10H transmitter and reconfigure its FM antenna bays. Engineers during this time were Al Carter for the remainder of the 1960s and then Russell Cooper. At the same time, WHAV also purchased a stereo generator, Subsidiary Communications Authorization (SCA) sub-carrier generator, CBS Volumax FM audio processor and other transmitter site equipment. On How Street, one studio was upgraded for stereo with a Gates Executive console, remote control and Gates CB-77 turntables. Not only was the Executive the first stereo mixer, it was the first transistorized console for the station. Added operational costs included ordering an additional equalized telephone line between the studio and transmitter to carry the right channel sound. WHAV-FM created its own jingle package, taking sounds of seagulls from Frank Chacksfield’s version of Ebb Tide and other instrumental cuts. WPRO-FM, which went on the air just months before the original WHAV-FM in 1948, was directly adjacent to WHAV-FM on the dial at 92.3 MHz. Early in the 1970s, it sought to increase its power to the maximum 50,000 watts allowed. Such an increase, however, was not allowed until or less WHAV-FM similarly raised its power. WHAV, having just completed an expensive upgrade, was not in a position to make a change so soon. Cetlin, a shrewd businessperson, agreed to increase to 50,000 watts if WPRO helped pay for it. Once the deal was done, engineer Cooper was charged with making it happen. On Sept. 26, 1972, WHAV once again received a mortgage from Gates Radio Co. This time, it purchased a Gates FM 20H3 transmitter for $26,750. The 20,000-watt output of the transmitter was amplified by the antenna bays, creating an effective radiated power output of 50,000 watts. The two-year-old Gates FM10H became the auxiliary transmitter and the 1958 transmitter was discarded. As early as 1956, Paul Schafer installed his first radio station automation system at KGEE, Bakersfield, Calif. They were slow to catch on, but during the mid-1970s, WHAV purchased the company’s 900 series system. At first, station employees recorded mostly instrumental music from existing albums to reel-to-reel tape. This involved not just recording the music, but adding inaudible “cue” tones. The tones told the automation system when songs ended and when to cross fade to the next tape. The cumbersome process led to many errors and still required costly human beings. Cetlin solved his problem by subscribing to a Peters Productions’ pre-recorded tape format called, “Music Just for the Two of Us.” At first, music consisted of all instrumentals. Tapes still had to be changed every three hours, but employees on the AM radio side were assigned this chore. Before one concludes whether the second WHAV-FM was a success, one should consider the dropping of its heritage call letters in 1983 and dropping of Haverhill as its city of license in 2005. In March, 2005, the FM station then known as WXRV received approval from the FCC to, in effect, end its official and historical connection to Haverhill. “WXRV will serve all of the community of Andover, in name, practice and interest, rather than simply the community associated with a private school. Thus, the respective sizes of Haverhill’s and Andover’s local populations notwithstanding, the Station’s proposed move to Andover will result in a preferential arrangement of allotments,” owners told the FCC in making the request. 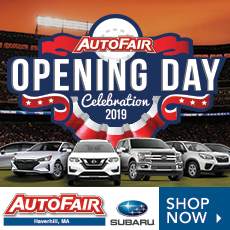 There has been no FM radio station officially associated with Haverhill for nearly 15 years.